Come and join bestselling Scottish crime author Stuart MacBride at Carlisle Library, where he'll be talking about and reading from his latest book, Close to the Bone, and signing copies afterwards. We're thrilled that Stuart is visiting Carlisle and if you're a fan of his gritty crime novels you won't want to miss this! Stuart Macbride discusses Shatter the Bones. ; Denise Mina discusses The End of the Wasp Season. ; Ian Rankin discusses The Impossible Dead. Stuart MacBride reads from Blinde Zeugen. 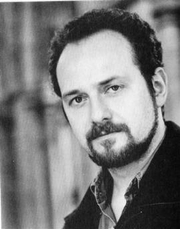 Stuart MacBride is currently considered a "single author." If one or more works are by a distinct, homonymous authors, go ahead and split the author. Stuart MacBride is composed of 4 names. You can examine and separate out names.